Leading up to the new Millennium, western countries rushed to recount the history of the 20th century in what Jay Winter, one of the leading historians in the field of memory studies, has called the memory boom. During this time, the big conflicts of 20th century were remembered in public history. The Second World War, in particular, was often recreated in popular media during this period. 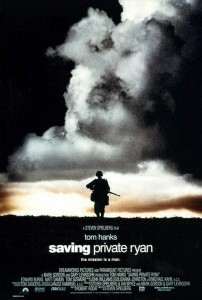 In 1998, Steven Spielberg’s Saving Private Ryan hit the big screen and gave audiences a realistic view of the chaos and death of the Second World War. In particular, veterans commented that the recreation of the opening hours of the Normandy invasion was uncomfortably realistic. The horror shown in Spielberg’s war epic gave a renewed appreciation for veterans who fought in the war. This was by no means the first Second World War film made in this period but the themes and tropes from Saving Private Ryan would be used in many more Second World War media from this point on. Looking beyond film and television, video games in particular took an interest in the Second World War during this period. In Ian Bogost’s How to Do Things With Videogames, Bogost claims that Reverence is one of the things that can be done with games. Bogost uses the example of Resistance: Fall of Man (2006) revering the Manchester Cathedral but this can be extended to reverence of people as well and with Second World War video games, this can mean reverence of the soldiers who fought. According to the Wikipedia page “List of World War II video games,” more than 160 video games set in the Second World War were released between 1995 and 2007. The first person shooter, in particular, latched onto the Second World War and thrived. The Call of Duty and Medal of Honor franchises were born during this Second World War obsession and grew into some of the biggest franchises of the time. These two franchises succeeded by using tropes from Saving Private Ryan and later the Band of Brothers miniseries. For the purpose of brevity, rather than exploring all of the Medal of Honor and Call of Duty games set during the Second World War (nearly 20 of them), this post will focus on Call of Duty 2 (2005) and Medal of Honor: Rising Sun (2003). 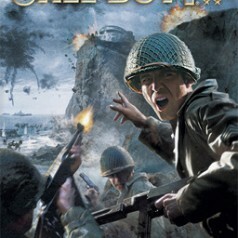 In Call of Duty 2, the opening of the mission “The Battle of Point du Hoc,” begins with the player controlling an American soldier as he exits from his transport onto a part of the Omaha beach during the Normandy invasion only to be knocked forward after his transport is blown up, presumably by mortar or artillery fire. The scene blurs, the battle sounds are replaced by a ringing that someone who had just been in close proximity to a bomb might hear, and the scene goes into slow motion. While in this state, the camera turns to see another transport unload, with many of the troops getting hit by enemy machine gun fire and a soldier with a flamethrower pack exploding and engulfing two other soldiers in fire. This scene is meant to be somber and ensures that the player realizes how many man died without even reaching the beach at Normandy. This scene is added to the gameplay for the same reasons that Saving Private Ryan shows men in transports getting slaughtered. In making the player observe this the developers are forcing the player to acknowledge what happened to many soldiers on D-Day. By including the scene of the soldiers dying on their way out of the transport, it respects or reveres the men who died like this in Normandy. The Medal of Honor series has twelve titles that focus on the Second World War. Medal of Honor: Rising Sun (2003) was the first game of the series set in the Pacific Theatre. The game’s opening two missions take place during the Japanese attack on Pearl Harbour in 1941. In the first mission, “Day of Infamy,” the playable character of the game, Cpl. Joseph Griffin, wakes up from his sleeping quarters on the U.S.S. California to the sounds of the Japanese planes’ attack. As the camera changes to first-person view, the player watches as men wearing little more than their boxers grab weapons and rush to get topside. As the player climbs his way up, he encounters a man getting electrocuted from exposed wiring, men trapped behind fires that have arisen because of the bombs and when he arrives topside, watches in slow motion as a marine with nothing but boxers, an undershirt, a lifejacket and a rifle is killed by a strafing Japanese fighter. Griffin must then take control of a machine gun and defend the U.S.S. California from all incoming fighters as a somber orchestra choir accompanies the sounds of machine gun fire and bombs. The next mission, “Pearl Harbor,” is much the same in tone, and appearance. Griffin takes control of a patrol boat and is charged of defending battleship row and later the U.S.S. Nevada as it moves to block off the harbor by beaching itself. The mission ends and a cutscene begins where two younger soldiers cheer as the Japanese retreat only to be reprimanded by the gruff Gunnery Sergeant Jack Lauton, “knock it off!” he yells, “and you listen up marines. You take a good long look. I hope none of you ever see a day like this again. Now nobody will ever know what it was like but maybe the ones who lived through it. You just be damned sure you don’t forget the ones who didn’t.” A somber French horn plays in the background as the Sergeant makes his touching speech, only adding to the effect. The message behind the scene is explicit. The game wants players to think and remember those who died during Pearl Harbor after playing the mission. These moments from Call of Duty 2 and Medal of Honor: Rising Sun are designed to make the player think about the immense loss and tragedy of the Second World War. It wants the player to remember those that fought. This is but a small portion of the type of scenes found in Second World War video games but shows that the games that are modeled off of the blockbuster style Second World War film find ways of making the player mourn the dead. Haggith’s essay in Repicturing the Second World War, which looks at Saving Private Ryan touches on many of the devices that are used in Medal of Honor: Rising Sun and Call of Duty 2. The slow motion, showing the carnage of the battlefield, the meaningless loss of life, the horn and somber music are all used to evoke emotions from the player or viewer of reverence. This is but a brief snapshot of two games in a much larger scope of Second World War video games. However, it does give some examples of how modern notions of remembrance that emerged from the memory boom are displayed video games. Your discussion of World War 2 video games has struck a cord with me. Thinking back on my own experiences with a few of the titles mentioned above, actively participating in the Normandy beachfront invasion (albeit virtually) made me quake and squirm. Yet after the mission was completed and the day won, my initial feelings of dread were tempered with a renewed sense of awe and respect for the men who experienced that bloody day for real. However, I would say that the power of the video game as a historical teaching tool goes beyond remembrance and empathy for veterans living and slain. And as the first truly interactive form of mass media, video games have a power that is unique; where film and television let us observe, games let us -do-. These games are a part of our historical consciousness; by giving us the opportunity to live through an event like the bombing of Pearl Harbor, Medal of Honor: Rising Sun becomes an interactive memorial. Of course, the commemorative aspects of a game like this are somewhat limited; after all, in real life, the men caught unawares in this attack only had one chance to survive whereas the player has as many as he needs. Even so, it is refreshing to see a serious discussion about the remarkable influence these games have on popular perceptions of such culturally significant events in American history.